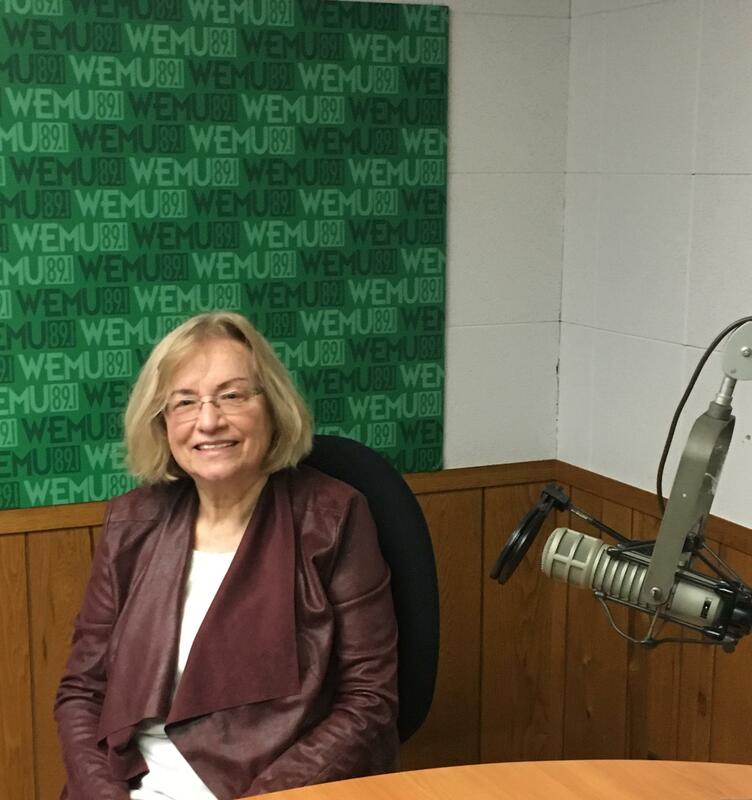 This week on "In the Public Interest," our bi-weekly conversation with the League of Women Voters of the Ann Arbor Area, 89.1 WEMU's Lisa Barry talks with league member Carolyn Madden about the league’s efforts to advocate and influence public policy. Carolyn Madden, long-time League member, has served on the State League advocacy board and is currently on the Board of the Ann Arbor Area League. She is a member of Friends of Restorative Justice and the State Collaborative to End Mass Incarceration. She was a faculty member and Associate Director of the University of Michigan English Language Institute and received a JD from Wayne State Law School. Most of our audience perhaps knows the League best for voting rights and particularly on their success in getting Proposal 2 on redistricting and Proposal 3 on Promote the Vote passed this year. What does advocacy look like for the League beyond voting rights? As many of our audience knows, the League is a nonpartisan organization, which means we never support or oppose any candidate for office or any political party. We do, however, support or oppose specific legislation or public policies based on official League positions. So for example at the State Level, we are currently supporting a number of bills in the Michigan Legislature that will treat 17 year-olds as youth offenders instead of as adults. Michigan is one of a handful of states where I7-year-olds are automatically tried, sentenced and incarcerated as adults when charged with a crime. We are also concerned about environmental issues such as Pipeline 5 and PFAS in our drinking water. At the national level, we are working to increase our advocacy on affordable health care, campaign finance reform, climate change, and sensible gun legislation. How does the League decide on positions? The League has a Statement of Principles, which can be found on our national website, which guide the National, State, and Local Leagues in determining what positions to take and support. At each level, the League has an extensive process for determining issues to be studied, e.g. Every two years prior to our state convention, the Michigan Board reviews our state positions and determines with input from local leagues whether any existing positions need revision or any new studies are needed in order to meet our current or upcoming advocacy needs. For example, two years ago we revisited our Agricultural Migrant/ Seasonal Worker position to permit a person to apply for, secure and renew a driver’s license or obtain an identification card regardless of immigration status. A similar process of review and input is done at the national level. Then our local leagues are encouraged to advocate according to these positions as well as for any local positions. How does the League advocate? ● Using these positions, the State Advocacy Committee recommends action to the Michigan League Board, such as letters to the governor, legislators and other decision makers and sometimes the state President delivers testimony at public hearings. ● Action Alerts are sent to all League members by our national and state organization asking them to call or send a letter in support of pending legislation. In addition, at the national, state, and local level, we are encouraged to meet with our representatives and/or their staff using appropriate talking points not to lobby but discuss our issues and to find out their perspective on our issues. We are currently involved in countywide visits to our State Senate and House representative on a number of issues such as money in politics, education, revenue sharing, and the need to support so many of our public services. And further, we have well developed programs such as lunch and learn, views and brews which bring educational and advocacy opportunities to the community. We show and provide forums for discussion to showcase many of our issues, e.g. immigration and detention centers, privatization of public services, dark money in Michigan politics, and – upcoming – the federal census why it is so important that people participate.